The sickening murder of innocents for no reason other than their faith. If there was no such thing as faith these sickos would find another reason to hate. It’s deffo still on our “must go to” list, no chance this will change that. Apparently he streamed it live on Facebook and hundreds, including some in New Zealand, were cheering him on! Maybe Al Cope isn't so far off the mark. Wherever people gather to carry out their normal daily activities (be it church/mosque, school, shopping etc)they can be targeted by people with evil intent. Now immigration has been going on for thousands of years. It would be appear that one of the main criminals in this tragic events is from Australia so it does seem rather odd that an Australian has attacked 'migrants' in a different country. New Zealand is a beautiful country with extremely friendly people and is a very peaceful country. 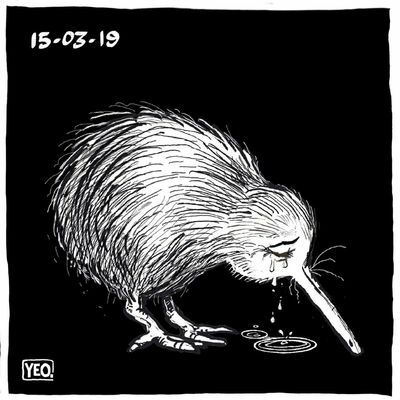 My thoughts go out to those directly involved in this murderous evil act, to those of the emergency services who had to deal with it and the general population of NZ. ive watched the live feed video i was sent in by a friend at work, its brutal its like a watching a call of duty game play. he had some serious military spec automatic weapons too.! D3 gone ...... But now want one for knocking about! Is this a form of insanity? Seriously ? Someone not only watched it but then thought it was something to share ? And then you watched it ? And then posted and admitted you watched it ? Many will have watched it, not all will admit it, you will even speak to people who have watched it but will deny it, its called human nature. Disco 5, no not one of them, I mean my fifth! if you think thats bad then dont ever get added to a whats app group in work you'd never sleep again.! !